Globally, the influence of the fourth industrial revolution on our economy will hit us with greater levels of concern around job security as more artificial intelligence and automation replaces the human element. Dehumanisation of people and relevance of people becomes an issue. At the same time, these changes present huge job opportunities and career paths for people who are able to capitalise on this demand for new tech skills. In South Africa, we will see initiatives that start to align to these needs, including enhancing the education system towards facilitating tech solutions to economic growth. 2019 in South Africa is an election year. Heading towards this watershed event, we have seen increasing alignment with self and own group interest, leading to increasing political, racial and religious isolation and fragmentation. I believe 2019 will see more of this. It is going to be a year of reflection by all South Africans as to where they stand on a number of issues including where they belong. I have no doubt that 2019 is going to be a difficult year – and the kind of cross-collaboration that needs to happen for the sake of growth will be slow to see, as people may choose rather to align along the lines of the preservation of their interests. The challenge of 2019 will also lead to opportunity. I am one of many South Africans who yearn to return to the ideal of rainbow nation collaboration. Those who offer an alternative to the disharmony we are seeing will have a strong appeal nationally. I sincerely believe the country will come back stronger once it has emerged from its trials and tribulations. South Africans have shown they are a resolute bunch, and able to come back with surprises. We have the ability to keep our heads above water, and we are blessed with resources. Our youth are one of our greatest assets – they want jobs and not social security pay outs. Given the tools and support they need, they offer our nation the hope it sorely needs. My outlook is focused on after the elections, 2020 and beyond – once a clearly mandated government is put in place and empowered to focus on leadership and creating stability. That said, the non-profit sector in particular will have a difficult time. Confusion around BEE codes makes it difficult for organisations to rely on funding from traditional sources. Furthermore, funding from CSI is under threat because the B-BBEE codes allow companies to benefit more from enterprise development (ED) opportunities than through charity spend. Not only is there more to be gained from a BEE perspective from ED spend, but when you support an emerging enterprise, you are teaching a man to fish. Going forward, non-profits are going to have to pay much more attention to coming up with social impact services that will allow them to leverage ED points. Slow or no economic growth is also a significant challenge for non-profits. Companies give based on their earnings from the previous year, and as we can see there is very little growth this year. If you have to choose between spending on a charity or retaining staff – the choice is obvious. There are non-profit organisations currently who benefit from B-BBEE through an endowment trust structure. This enables them to act as B-BEEE partners in equity deals. However, the trust structure for equity deals is currently under review with all indications that trusts will no longer be considered as eligible BEE partners – closing one possible source of funding for organisations. This narrows the source of funding and makes the pond much smaller for organisations. Every corporate is giving to the max, so to find new donor support means one charity benefiting from another’s loss. It isn’t easier to obtain international funding as South Africa is living under the shadow of recent corruption/state capture scandals. The international community is not seeing prosecutions or willingness to transform and move away from corruption – leading to a reluctance to invest in the country. Furthermore, despite our junk bond rating and no growth environment, we are no longer considered a third world country by international aid organisations who are investing in other parts of Africa but not South Africa. One of our solutions is to work closely with other non-profits, with the hope of sharing expenses and improving impact optimally. The time for paddling your own canoe is over – let’s all get into one big canoe and go further together! We are aligning with organisations with proven and complementary skills and talents. Sharing resources may help us save so we can spend more on our developmental objectives and outcomes. For example, if accounting services is 2% of our budget – sharing an accounting resource will allow us and our partners to reduce the spend on administration so we can better spend it in the core work of the organisation – to the benefit of our young people and communities. Afrika Tikkun is lobbying companies to rethink their charity spend and marry it with their business goals. We are working with companies to identify from a medium- and long-term perspective what skills they will require from their workforce so that we can partner with them to develop that workforce through our cradle-to-career programmes. Despite all the challenges for the country and the sector in 2019, we are positive that there are opportunities for growth and will be presenting a growth budget next year, as we seek to build a workforce of skilled, productive, happy and thriving young people. 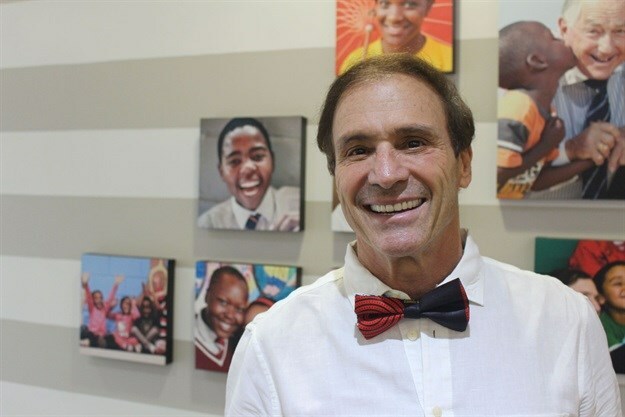 Marc Lubner is CEO of Afrika Tikkun, a South African non-profit organisation focusing on youth development from cradle to career. He is also founder and executive chairman of the Smile Foundation, which treats children with facial abnormalities. He has held numerous positions at other noteworthy philanthropic and business organisations, including current executive chair of the SA Israel Chamber of Commerce. hello. this art is great. 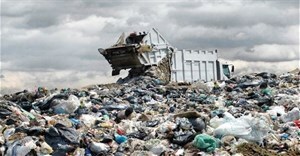 Opportunity to regularise pre-Waste Act hazardous waste facilities: But, what are the risks?